St. Madeleine Sophie’s Auxiliary – Service with a Heart! Due to the vision of a group of mothers in conjunction with the work of the Religious of the Sacred Heart, St. Madeleine Sophie’s Center opened in 1966 with one classroom. 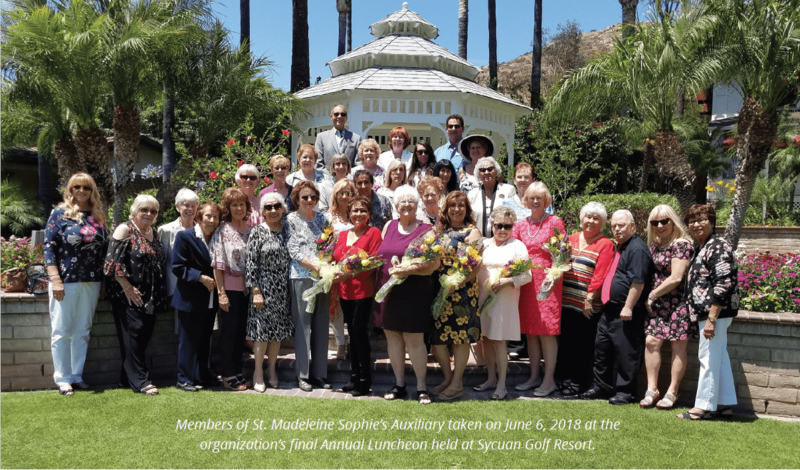 The same year the St. Madeleine Sophie’s Auxiliary was formed to give the center assistance and financial support through fund raising and personal efforts. In 1970, ground was broken for a new classroom building. The construction was realized through the generosity of the efforts of the Auxiliary and Mr. Peter Ferrantelli, Sr. year after year, the Auxiliary’s assistance has helped the Center add buildings, staff and equipment that enhance the Center’s vital work. Over the last 52 years St. Madeleine’s Sophie’s Center Auxiliary Members have supported the securing funds for critical needs and through their tireless fundraising efforts have given over a million dollars.